Kirsten’s Zoo Limited is a non profit, volunteer run animal rescue organisation. We provide safe shelter and medical care to abandoned, surrendered, neglected and often abused animals. Our goal is to stop the flow of unwanted animals. We take them in and ensure that they are spayed/neutered and have all the necessary medical care provided to them. We then place them in foster homes until they are adopted. We do not have a shelter or our own kennels, but we do need to use private kennels at times. We rely on the kindness and generosity of animal lovers who are willing to provide time, love, enthusiasm and temporary foster homes for the animals that desperately need our help. With the assistance of Acorn Veterinary Hospital we are able to offer a package for our rescue cats and dogs, ensuring that (where possible) all of our animals leave us in the best possible health. Kirsten’s Zoo was started by Kirsten Mitchell in 2008 as a response to a number of factors, in particular, the need to have a centralised point of contact on Hong Kong Island to help home cats and dogs, as well as other animals in need. 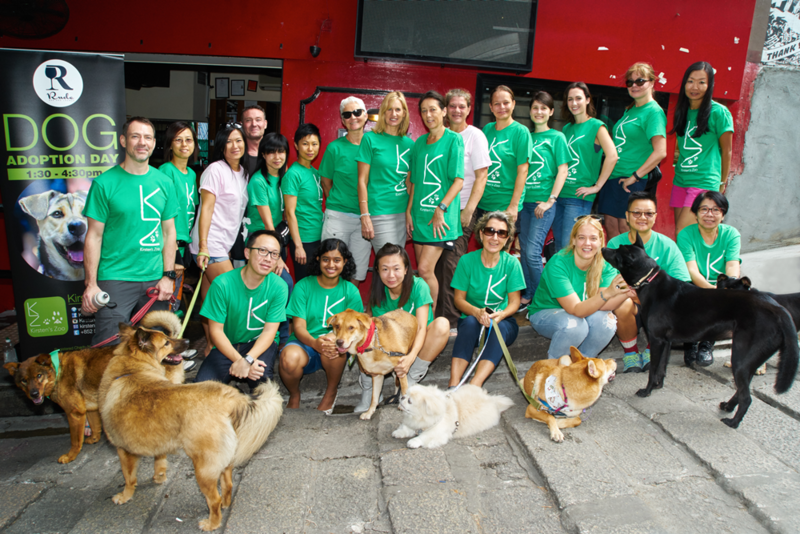 Kirsten, the co-founder of HKDR, works with other, lesser known local animal rescue organisations. She has funded most of her endeavours out of her own pocket and with the kind assistance of friends and likeminded people. Her dedication and commitment has meant that several hundred animals have been successfully homed over the last 10+ years. She has always depended on the financial kindness of animal lovers to help her continue to do what she does and took the decision to found a charity with a view to widening her efforts to help more animals and educating the general public in animal welfare. Kirsten's Zoo Ltd is exempt from needing to hold an Animal Trader License under Regulation 5A(1) of Cap139B - Public Health Trading And Breeding Regulations - Letter of exemption can be seen here.